Steven Elliston has been recognised as Kingborough’s Young Citizen of the Year for his outstanding commitment and inspirational enthusiasm as a volunteer, particularly in service to older members of our community. 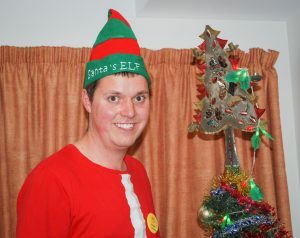 Although Steven lives with a disability, this has not deterred him from being a dedicated volunteer. His experience enables him to understand and appreciate the needs of others, providing personalised assistance and inspirational motivation. 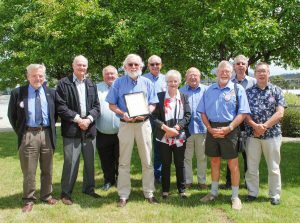 The Lions Club of Kingborough was presented with the Community Group of the Year award for their ongoing contribution to a wide range of community programs and activities throughout Kingborough. 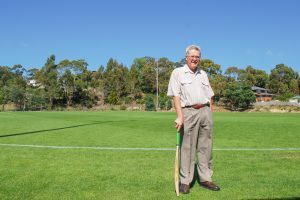 Certificates of Appreciation to recognise significant service to the Kingborough community were also presented to three individuals and one sporting club. 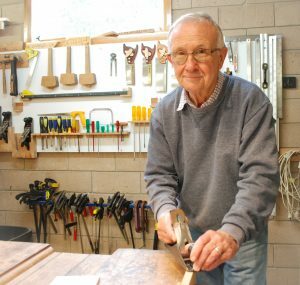 David Ellis’s contribution to the Kingston Men’s Shed and his mentorship of young people was recognised, along with Charles Turnbull for his outstanding commitment to the protection and enhancement of the natural environment at Adventure Bay on Bruny Island. Although not able to make it to the ceremony, Leonie Hennessy-Smith has been recognised for her contribution to the Blackmans Bay Primary School Parents and Friends Association and commitment to the Kingborough Ladies Netball and social club. The Summerleas Eagles Cricket Club were recognised for their contribution to Kingborough’s sporting and multi-cultural community. 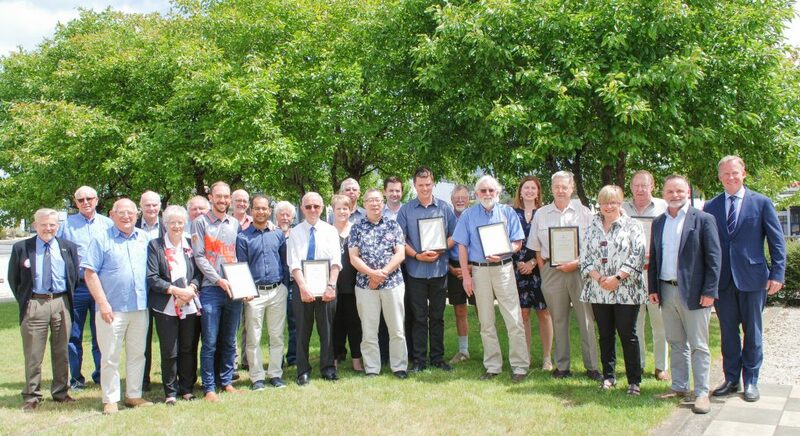 The Kingborough Awards presentation ceremony was changed from Australia Day to allow for recipients of awards to invite more guests to share in the recognition of their achievements. The Kingborough Awards presentation ceremony will now be held on or after the first Saturday of 6 January. This date was selected in celebration of the anniversary of the first Kingborough Council meeting, which was held on 6 January 1908. Council felt this date was more appropriate in recognising community members who have made significant contributions and positive impacts in the municipality. Helping veterans and their families is a particular focus for Richard. He is an extremely valuable member of the Kingborough RSL Sub Branch, and he wrote and published the booklet ’80 years of service’ to celebrate their achievements. He is always available to provide advice to Channel ex-service persons and their families, particularly when they are in need, and continues to push for more consideration to be given to returning soldiers. The support forRichard’s nomination was overwhelming and he is a very worthy recipient of this award. Council is delighted to recognise Steven’s achievements and we thank him for his outstanding contribution to the Kingborough community; he is an inspirational role model for us all. The ethos of the Lions is to meet the needs of local communities and the world every day because they share a core belief – to serve their community. The Lions Club of Kingborough certainly embody this ethos and consistently exceed it. The Club organise and support an incredible number of events, charities and groups through their fundraising activities and on ground support. They also create fantastic community initiatives such as the Kingborough Art Prize and partner with other groups to develop events such as Love Living Locally. The Club are instrumental in the success of Love Living Locally from their leadership and planning to coordinating stalls, volunteers, and tireless efforts on the day itself. Members are often a welcome sight at other events, serving much needed food to workers, planters and guests, and always with a smile. The local Lions Club are also heavily involved in the Australian Lions Childhood Cancer Research Foundation and Children’s Mobility Foundation. They were instrumental in drawing the southern Lions Clubs together to refurbish the space and establish the Palliative Care Ward as part of the Repat Hospital (now called the Wittle Ward), and established the Low Vision Clinic at St John’s hospital now located at the Royal Hobart hospital. There are so many who have benefited from the outstanding contribution from the Lions Club of Kingborough, and Council certainly appreciates the enormous support they have provided us over the years. The Summerleas Eagles Cricket Club was founded in 2012 by migrants from India, Pakistan and Bangladesh. Their aim has been to provide an opportunity for people of diverse backgrounds to play sport in a supportive atmosphere while connecting with the broader Tasmanian community in a positive way. 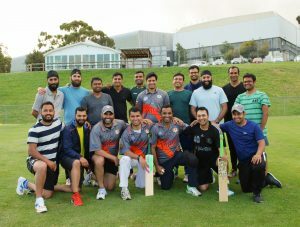 Now in its seventh season, the Summerleas Eagles has fielded players from Sri Lanka, India, Kenya, Nepal, Pakistan, Sudan and Australia. The club has become a valued member of the sporting and multi-cultural community with a number of its members committed to other regional cultural organisations. They have also offered scholarships this season to cover the fees and equipment costs for students who have previously found it difficult to find the funds to play. The club is a popular opponent in the cricket association and maintains excellent relations with all other clubs. Members have become ambassadors for their respective cultures, creating respect for and promoting the understanding of cultural diversity while building a healthy and supportive community for their extended family and friends. A number of the members are also busy as volunteers in the broader community, sitting on the boards of student, disability services and multicultural organisations. The club founders have worked hard to achieve their initial goal of creating a welcoming and harmonious community group where the love of sport crosses the boundaries of culture and religion. Leonie was been described as someone who makes an amazing contribution, is incredibly humble and simply “gets on with getting the job done”. This is often the way with people who make an enormous contribution. 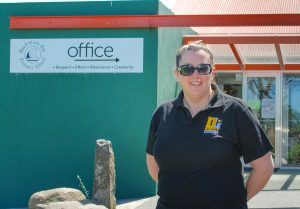 Leonie’s nominee listed her input over her ten years as a ‘volunteer extraordinaire’ with Blackmans Bay Primary School – from big, bright fundraising ideas to the tiny details of the to-do lists – Leonie can be counted on to work with “skill, patience, passion and dedication”. She has helped raise much needed funds for education programs, infrastructure, bus trips and countless support materials. Leonie also volunteers in a one-to-one reading tutoring program with student improvements being notable and many. The Kingston Netball Social Club and Kingborough Ladies Netball also benefit from Leonie’s volunteering and organisational skills, as has the local Scout group. She consistently helps at the many BBQ’s and their frequent community activities. Unfortunately Leonie was unable to be at the ceremony and a special presentation will be arranged for her soon. David is a founding member of the Kingston Community Garden and Men’s Shed, which was established in 2006. David was instrumental in obtaining grant funding for the planning, fit-out and construction of the Men’s Shed at Gormley Drive. The Shed has become an important location as a safe and inclusive environment where men are welcome to work on community projects, specific Men’s Shed projects or a project of their choice. Another successful grant submission led by David, saw the development of a metal working area. This has added a variety of possibilities and opportunities for the Shed. The only ‘must’ is to observe safe working practices…. all in the spirit of mateship. The ethos at the Shed extends the possibilities for learning, sharing skills and community benefit for all ages. David has developed a variety of mentoring programs for the benefit of young people. These programs gave primary school students the opportunity to learn woodworking, bicycle maintenance and electronics. It is a special moment to see young people finish a toy they can then take home for their siblings. Young people with special needs have also benefited from David’s mentorship and friendship. In particular there are two young men who have worked with David to create useful items from simple chopping boards up to more complex trolleys. This allows these young people to have time away to develop their skills in a safe and supportive space, with a friendly and experienced mentor. David is clearly a highly valued member of the Kingston Men’s Shed and to everyone who has had the opportunity to work and create with him. A founding member of the Friends of Adventure Bay, Charles has dedicated 15 years to caring for and preserving the environment and scenic amenity of the Bay. Charles has been instrumental in developing successful grants as well as coordinating and managing working bees. He ensures safety standards are met and provides all the necessary equipment needed. 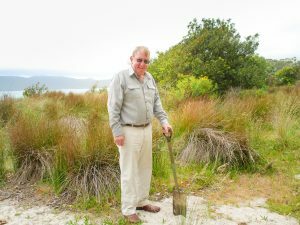 A green thumb, Charles has grown thousands of Poa grasses and shrubs, which have been planted to protect the foreshore from erosion, as well as provide safe sanctuary for birds. He also prepares sand ladders to install along pathways into the beaches. Charles has instigated the installation of new benches, picnic shelters, basketball and exercise equipment and encouraged upgrades to the tennis court. In 2006 Charles initiated the Friends of Adventure Bay book Following in their Footsteps, which is still being sold to raise funds for the group today. Charles dedication to Adventure Bay is clear and his selfless commitment to the preservation of the natural environment over the past 15 years is outstanding.